Witness the all-new Albemarle 32 Express first-hand this Summer! See what makes Albemarle the leader in inboard diesel powered express fishing boats. Luxurious cabins, impressive fishing amenities and that renowned smooth and dry Carolina ride from Albemarle, The Carolina Classic. Contact Bluewater Yacht Sales now to tour our Cat-powered, fish slaying Albemarle 32 Express! The 32 Express boasts all top-of-the-line features that serious offshore fishermen demand with the speed and performance that leave other boats in her wake. 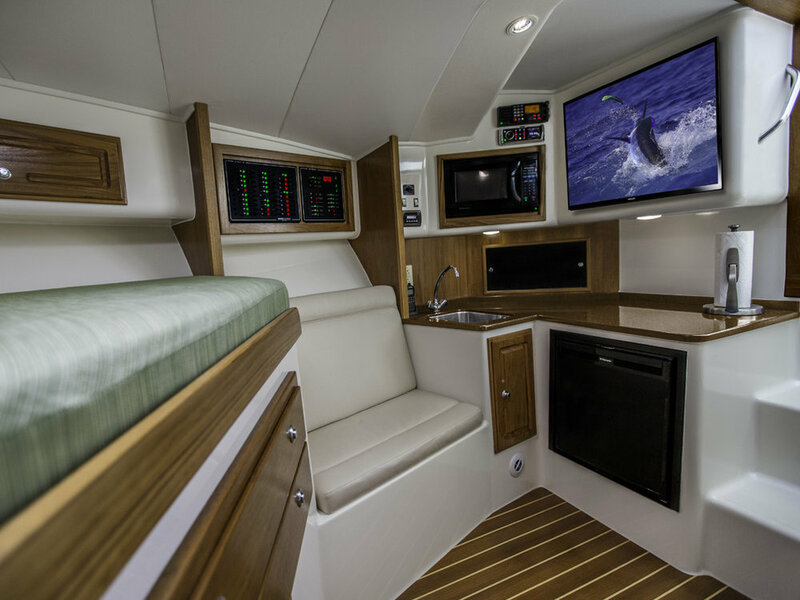 The salon below features a full galley, large stand-up electric head and shower, double berth and seven-foot bunk making it one of the most comfortable boats you’ll ever fish. What was the newest member of the Carolina Classic family, is now a new member of the Albemarle family. 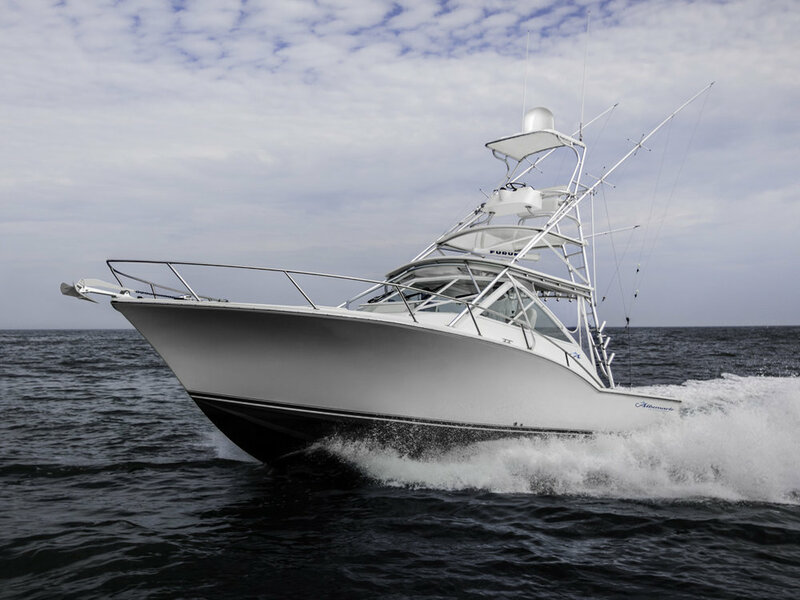 The 32 Express boasts all top-of-the-line features that serious offshore fishermen demand. Plus she has the speed and performance that leave other boats in her wake. She sports a huge 80 square foot, flush deck cockpit. 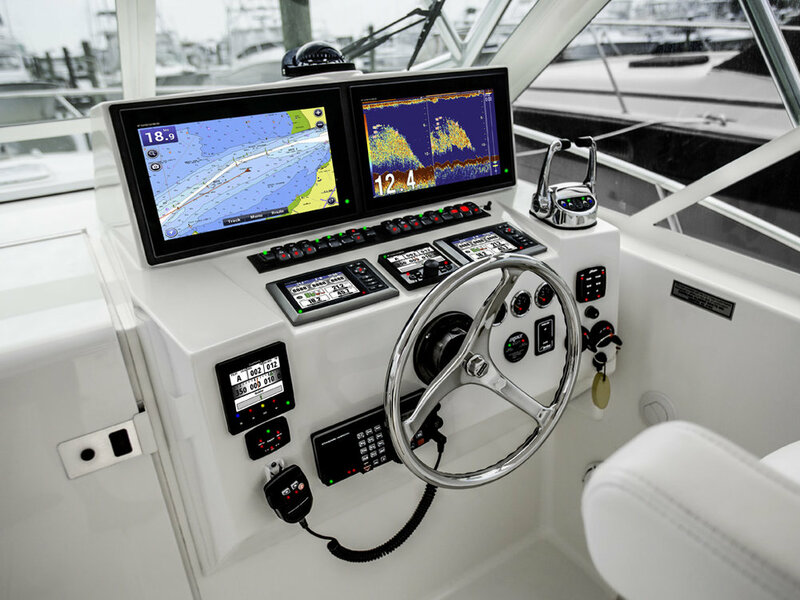 The helm console is spacious enough for state-of-the-art large-screen electronics. She has a full-beam tackle and rigging station, and a 50-gallon fish box. The large helm deck seats six while the salon below features a full galley. The large stand up electric head and shower, double berth and seven-foot bunk make this one of the most comfortable boats you’ll ever fish. She’s a pocket battleship that will win the fight.